Journalism students are able to deliver their projects until 15th of March, and the one who wins will get a scholarship at BeIN SPORTS. Pau Folque, second in the left, was the Dani Montesinos award winner in 2015. MIC/Agustí Fontanet. 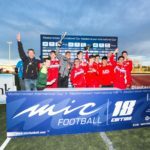 To impulse sports journalism and promote young journalists are two of the aims of Dani Montesinos award, the prize that the organizers of the MIC Tournament has gone out, with the support of MEDIAPRO. The award wants to recognize the labor of a young journalist who will get a grant at TV Channel BeIN SPORTS. The call to apply is opened between 21st of January and 15th of March. Dani Montesinos Sports Journalism award is a tribute to La Sexta journalist, who passed away in a traffic accident, and intends to give to the young journalists an amazing opportunity to work in a great media company. 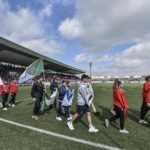 The contenders have to make a journalistic report about youth or non-professional football, and the applicants have to be students of any degree, post grade or master of journalism. The projects may be in Catalan or Spanish and in some different formats (Press, Radio, TV, Photography…). It won’t be necessary to deliver a job made in purpose for the award, so it will be allowed published works or even a academicals one. The prize born in 2012 and the first award was a posthumous award for Dani Montesinos himself. In 2013 the Col·legi de Periodistes de Catalunya got the recognition in the name of every Catalan journalist who has worked in the MIC Tournaments since its beginning. Dani Montesinos awards grew in 2014 when the winner gets the first scholarship at GolT television, being Nacho Gonzalez who deserved that honor. Pau Folque is the current winner because he was honored in 2015 and he moved his steps to GolT as well. The next winner will have a scholarship in BeIN Sports. 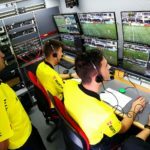 Juanjo Rovira, tourmanent MIC director, says that Dani Montesinos awards is a good chance for the young sport journalists, therefore they will have the chance to improve their knowledge in a big Media like BeIN SPORTS, and he points that it’s really important that the contenders "are interested in youth football". For Rovira in every MIC Tournament edition "the young players who play the MIC show to everyone some great lessons about principles and good sport".